Puck’s Bauer Toolbar is an innovative manure applicator designed to tackle tough conditions and bring you results in the field. 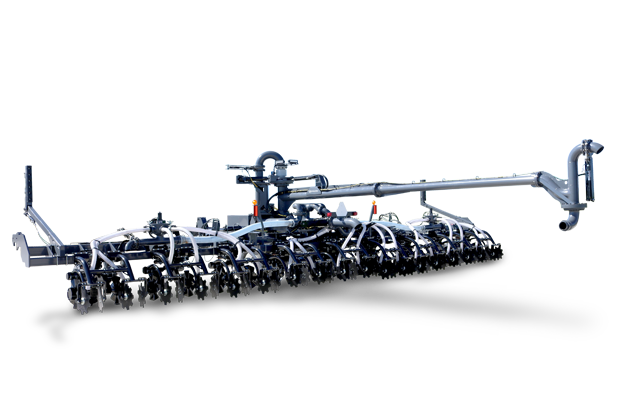 It has a large width that brings increased flow, allowing you to slow down the tractor without sacrificing time. Puck teamed up with Bauer Built Manufacturing to produce a 45-foot applicator with easier turns in the ground and on the end rows, more travel per row and less maintenance. The durable applicator, developed through the combination of Bauer Built’s years of toolbar experience with the DB planter line and Puck’s expertise in manure application, leads the way forward in manure application technology.